Taking up drumming as a full time career can be an exciting prospect. However, it’s not easy. You have to put in the time and effort to make your name and place in the music industry, but with persistence and hard work you surely get to reap the rewards soon enough. There are many questions in mind when building a career as a drummer, like how to land gigs and tours, how to plan sessions and get noticed, or if you should move to the main music industry cities. In this article, we attempt to tackle the basics to help a drummer kick start their life long musical journey. It is important to understand how to make money in the drumming industry. There are several options available that can be used as a base to build your career around. 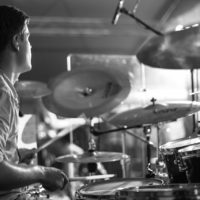 It is of course great to land a dream gig or go on a tour, and a part of you should always strive for it, but here are some practical ways that can help you progress in your drumming career. 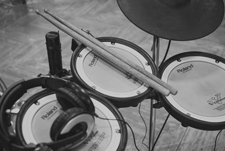 Original Music – Being part of a band that creates original music is often the most sought after career for drummers. Teaching – Drumming is an art and a constructional and creative hobby. You can make good money teaching the drums depending on the experience, skills, poise and confidence you have. If you’ve had gigs or been a part of bands in the past, it will work well in your favor. You can even do it part time and still be able to enjoy gigs and performances at night. Covers Bands, Weddings, Corporate Events – It is surprisingly easy to play at parties, corporate gigs, weddings and events. People look for quality and skills more than experience when it comes to booking a band or a solo artist for personal events. It is great to practice songs that can help you land these gigs and get referrals. Theater – You can play for shows, musicals, Broadway and Cirque Du Soliel. It offers a steady income and lifestyle and you get to really enjoy it. Try to read music as it helps you get better quick. Online Lessons – This can also be counted as a form of teaching. You can build up a professional, paid drumming website or start with a YouTube channel with regular online lessons and information about drumming. Internet is a great tool for progressing in your career and getting recognition in the long run. You will find many artists doing the same quite successfully. Taking up Local Shows – Performing at local shows or even touring at low to medium stages can help you get on your feet. These are also good opportunities to get your name out there, sell CDs and merchandize, and build a dedicated fan base! Writing – You won’t actually be playing the drums at this job, but of course you will need the necessary knowledge and experience to be able to write about it, and it will keep you connected to the art of drumming. 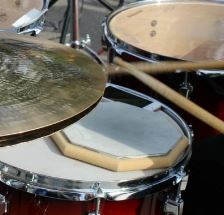 You can reach out to struggling drummers and beginners via informative articles, blogs or books. It takes commitment and patience to get to a professional level. There are many ways to fine tune and tweak your skills, taking them to the next level. Here are some great tips to help you in the long run. Take Private Lessons – Even if you have good skills, there is always room for improvement. You can learn new techniques or polish the ones you already have and learn about professional drumming. Thanks to the internet, there are many online websites that can help you with this too. Develop a Music Memory – Make your basics strong and solid. Learn your basic beat drum patterns (paradiddles) and don’t take them lightly. One way to do this is to play with your eyes closed. In this way, your legs, arms, hands and feet become more responsive and adaptive to drumming. Start Slow – Practice with easy songs, don’t burn yourself out and don’t push yourself too hard right at the start. Be patient with yourself and give it time with steady efforts. Set a Schedule – Sticking to a regular schedule won’t make you slack on practicing and it will improve your skills. Practice in all your free time, make a schedule and follow it strictly. Try to set at least 20 minutes apart for one practicing session a day. Focus on Drumming Styles – It’s great to learn all the drumming styles out there, but learn to keep the focus on the ones you know best and master them. Be it punk, reggae, jazz or rock, master one at a time as it can help in marketing your skill set. Practice as a Team – Get in touch with other drummers and musicians and learn from their talents and mistakes. You can also get involved in a community drumming group or just get together with friends who enjoy music and practice with them. Networking – Attend musical events, conferences and local gigs. Try to make contacts and hand out recording demos if you have any. Talk to professionals and music companies and build a connection. 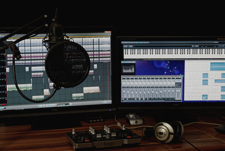 Recordings and Videos – Having some quality audio and video recordings of your playing can prove your abilities to others when you are seeking opportunities. There are some mistakes that have tripped up many professional drummers during their musical journeys. While you can’t completely avoid all of them, it’s better to learn from other people’s experience and avoid the big ones while making wise decisions to progress your career. Here are some common mistakes to watch out for. Neglecting Proper Training – Give yourself ample time, practice and have proper professional training with good instructors and don’t take your skills for granted. Not Setting Career Objectives – Plan the long-term career objectives in advance. If you don’t stay ahead of time and plan for the next step, you might end up in a direction you didn’t want to take. Knowing what you want and putting all your efforts and planning towards achieving it is the ultimate route to a fulfilling career. Not Exploring Different Genres – Don’t set limits on yourself or close yourself off to the various genres of music. It is a great quality to be versatile with your talent. It will make you more accessible and help you perform in most gigs without being picky. Not Protecting Your Hearing – This one might sound trivial, but it’s far from it. 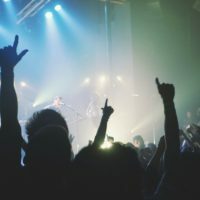 Noise induced hearing loss and chronic tinnitus could put you at a major disadvantage and damage your enjoyment of performing and listening to music. Get some decent earplugs for musicians. Wear them when practicing, performing, and even attending other concerts. It’s a simple and vital investment into yourself. You could even go one step further and check out in-ear monitors for drummers, which can be absolutely fantastic. Failing at People Skills – You need to blend yourself and have a positive attitude. Building connections, networking and being in touch is very important. Most often, companies and professionals want to hire a person who’s easy to work with and can take directions. 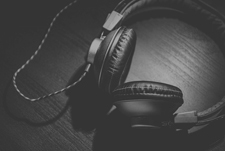 Failing to Keep up with New Trends and Technology – Always stay up to date and connected with the latest happenings of the musical world. If you are playing modern genres, using electronic components in your sets can really give you an edge. For example, adding an electronic drum pad to your setup or other components from electronic drum sets can make a big difference. Not Being Professional Enough – Don’t let your personal life or social problems get in the way of your work and career. Draw a fine line and learn to keep the different aspects of your life separate. There certainly are unavoidable circumstances at times, but it shouldn’t be a norm in your professional life. 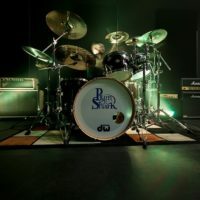 These are definitely not the only possible mistakes to stumble upon as a drummer, but it’s smart to know the common ones and steer clear of them. No matter what path you choose or which particular skill you prefer to stick with, give it time and practice it regularly and you will be on the path to success. I want to ask if there any drum online support for me to ask questions. 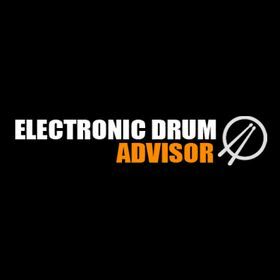 Hi, there are plenty of great drum forums and resources around, such as drummerworld. Also check out some drumming related facebook groups and sub-reddits, which often include experienced drummers that are interested in helping and supporting. It’s also worth checking out are there any of these groups for your country or city, as you can become part of a more local community of drummers.